I had never been to Stamford Bridge before, and now, Chelsea Football Club’s home ground was the venue for this exhibition which made it all the more interesting. The range of beautiful and unusual wool coverings was extensive. I spent a fair amount of time looking at these items both from a professional cleaning perspective and a carpet inspectors perspective. 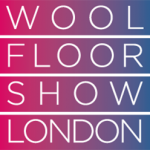 At the end of the day there was a special meeting organised by The WoolSafe Organisation to discuss cleaning issues with a selection of carpet manufacturers and retailers for some of the high value moisture sensitive and vulnerable carpet types which are currently in fashion. The purpose of this meeting was to bring together a group of recognised experts in the cleaning industry and key manufacturers to establish appropriate cleaning protocols and training for these textile floor coverings. The meeting produced some interesting views and issues. Next meeting in June.